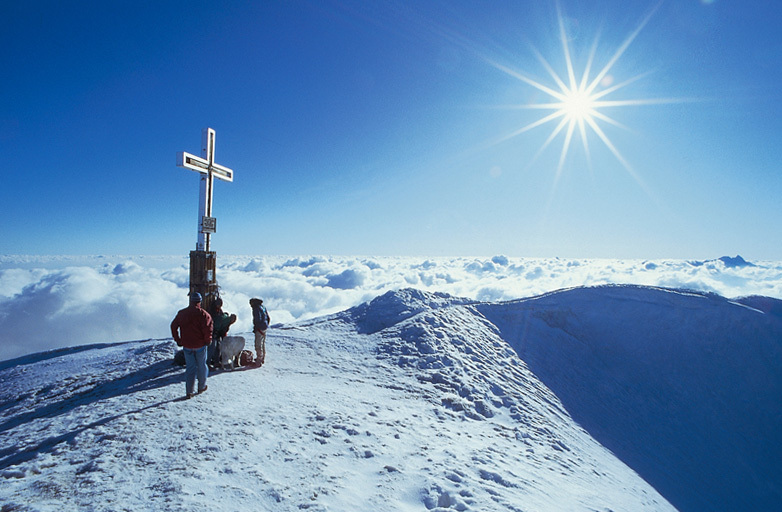 A tour in the Tauern mountain range gives us the chance to visit the last high peaks (3800m) of the Alpine Arc before they descend into central Europe. The quality of the Austrian refuges is a highlight, and their comfort will be appreciated as this tour includes some strenuous days. There are panoramas to take your breath away, and some fabulous long descents. Price: 1450€pp. 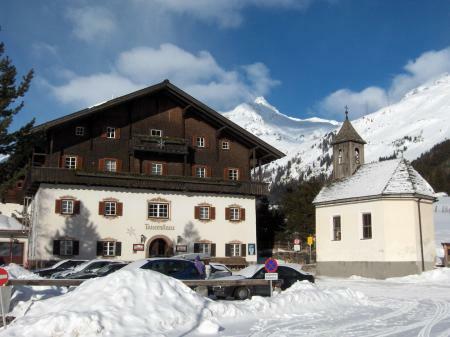 Includes: transfers between Salzberg and Pragraten, six days ski touring with a qualified UIAGM high mountain guide, seven nights full board hotel and refuge accommodation. Not included: equipment hire, any ski passes, taxi/bus transfers during tour. Day One: Meet in Salzberg and group transfer to Pragraten (1300m) in the Osttirol. Day Two: We head out and up to our refuge for the night, the Johannishutte at 2121m. Day Three: Ascension of the Kristallwand (3310m) as a warm up. 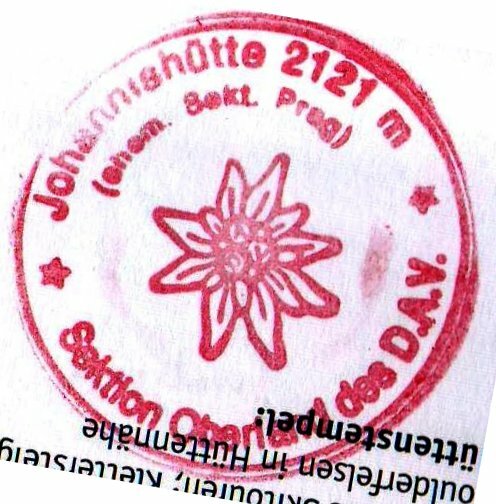 We need only day packs as we are back to the Johannishutte this evening. Magnificent descent for our return. 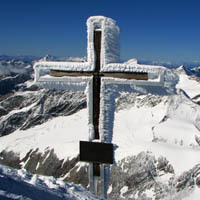 Day Four: Today, after our nice warm up yesterday, we have a 1550m ascent to the summit of the Grossvenediger, at 3667m. From here we have an even bigger 2000m descent, partly over the Schlatenkees glacier, taking us into the valley and to the Matreier Tauerhaus refuge at 1512m where we will spend tonight. Day Five: A long day today which takes us via the Dabersee Lake up the Amertaler Hohe (2784m). A short 350m descent in the Landeggtal takes us to the foot of the Granatscharte (2970m) from where we climb 650m to the Sonnblick (3088m). From here we descend to our refuge for the night (Rudolfshutte, 2311m). Day Six: We backtrack just a little in order to climb the Granatspitze (3086m), which is followed by a long descent into the Dorfertal, bring us to the Kalser Tauernhaus at 1500m. We have a short bus or taxi transfer to Lucknerhaus (1920m) from where we climb to Studlhutte (2801m) where we will spend the night. This makes a total of 1650m ascent today. Day Seven: We finish our tour with the ascension of the Grossglockner (3798m) and the 2000m descent back to Lucknerhaus from where we take a taxi transfer back to Pragraten. To book you can use the on-line booking system below - select your start date and your end date and then proceed. The system will ask for a deposit which you pay using PayPal. Or, if you prefer, you can email us directly (sian@pyrenees-mountains.com), ring directly on +33 5 62 92 81 52 or Skype at sian.grigg.